Indie power pop outfit from London, fronted by Fred Macpherson on lead vocals. 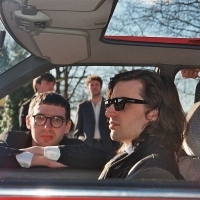 Spector's debut single was 2011's 'Never Fade Away' with their debut album 'Enjoy It While It Lasts' released in 2012. They were nominated for the BBC Sound of 2012 award.